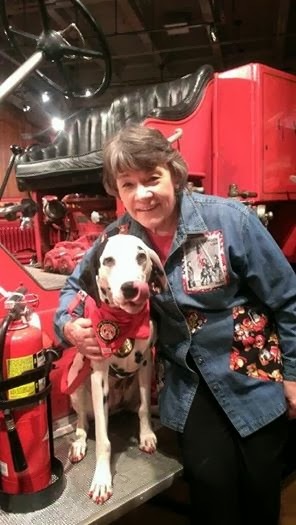 Fire Safety Rocks: An evening at the Aurora Regional Fire Museum! 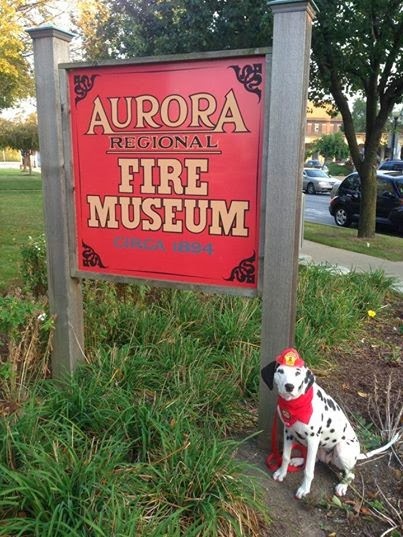 This evening we did a fire safety presentation at the Aurora Regional Fire Museum in Aurora, Illinois. 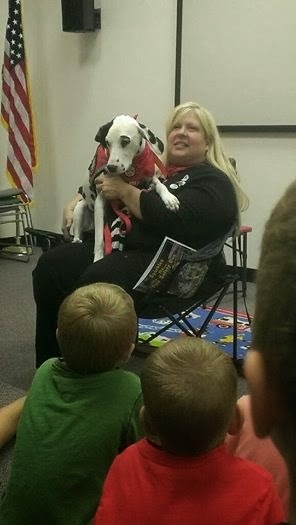 This was my very first time to do a presentation there and the Fire Safety Dog's second time (Tango made a presentation a couple of years ago). 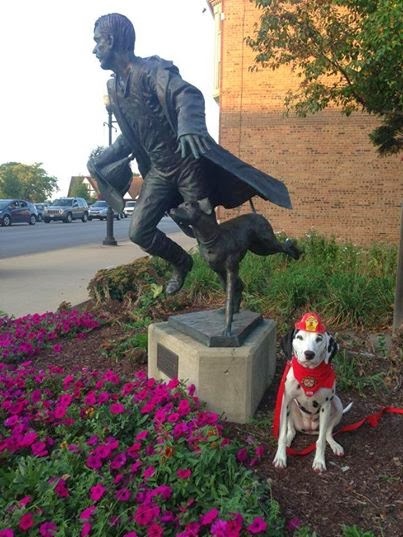 Isn't this statue paw some? 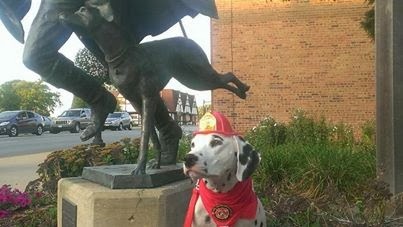 Look real close and you can see a dog running alongside the firefighter. David, Curator of the Museum, taking photos. 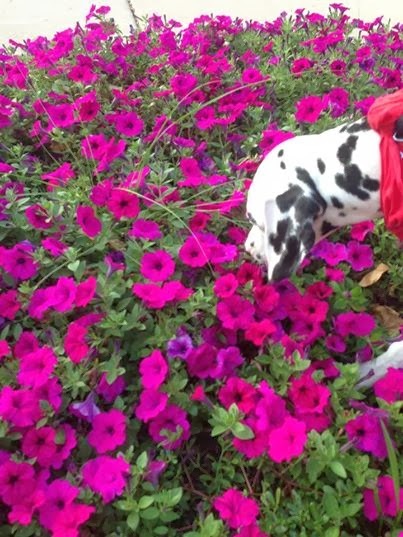 Every once in awhile you have to stop and smell the flowers! 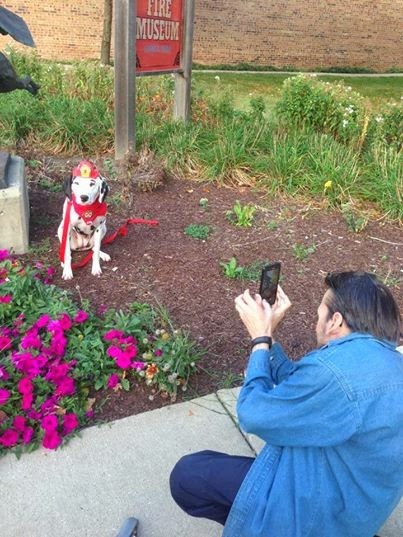 so honored to be a part of their "Readers" series at the Fire Museum. 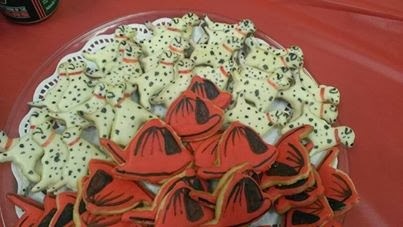 David's wife made these amazing cookies for a reception afterwards! This is Debby. She runs the museum and she was so NICE!